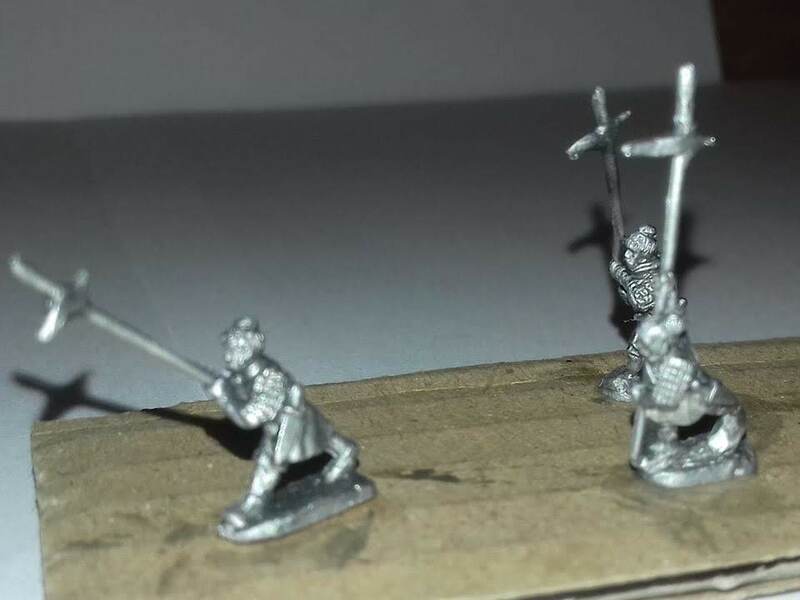 As 2108 is coming to an end very soon I thought Id finish off with some pictures of the Fogg of War Miniatures Chinese Warring States range. What do you think? Are there anything we've missed or you want added. We're hoping to get under in production during early 2019 but we'll keep you up to date on that as and when. Hope all members have a great New Year. 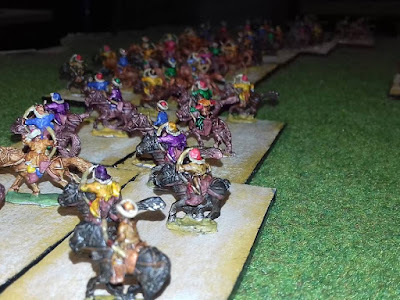 Wargaming Projects during 2018, I've actually been really good this year I've managed to stick with one project all the way through the year, I am hoping to continue this formula during the coming year what time will tell. The three projects below are my main interests at various stages of completion. further down are a list of distractions which keep me from completing my main interests. I haven't touched this project since 29 November 2017, and then it was only to write an article the last bit of modelling I did was on November 2014, so it's been 4 years since I touched it. 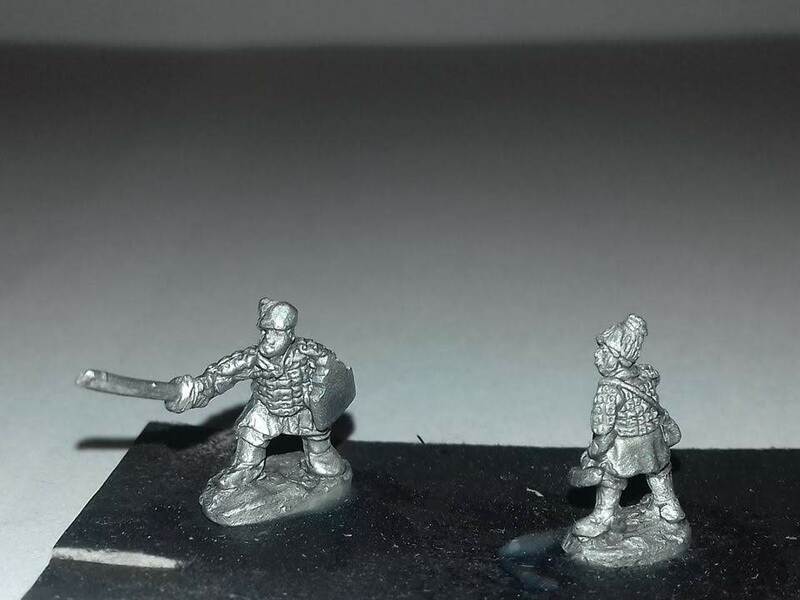 However I did buy both Celtic Warrior Army & Caesarian Roman Army Kickstarter by Lancer Miniatures. Useful Caesars Gallic War Links. I haven't touched this project since 5 June 2017. Useful American Civil War (ACW) Links. I've done really well this year with this project I've pretty much consistently done it all year, and I hope to continue doing the same this coming year. 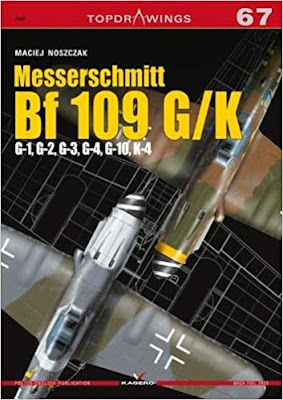 Useful World War II (WWII) Links. I've not really completed any scenery pieces this year, started lots of bits and pieces but not finished any. Figures & Scenery Bought, 2018. I've not spent a great deal this year on rules. I've managed to attend for shows this year which which is pretty good for me, as you can see I've still got two write ups to do. Vapnartak York Wargames Show 2018. As always it's been a fantastic year for playing games, as you can see it's mainly been rapid fire this year, I'm also hoping to keep playing a lot of World War II this coming year. The painting competition was definitely a highlight of the year for me I never expected to come anywhere let alone second. So obviously a massive thanks to Leon from Pendraken Miniatures for organising these Competitions. 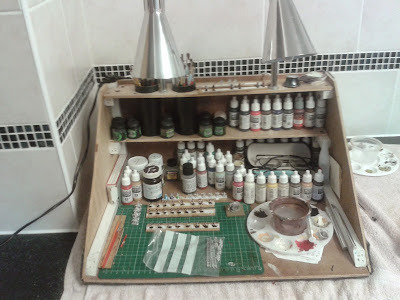 Below is a list of other projects I do at various stages of completion, however I now class these as distractions. 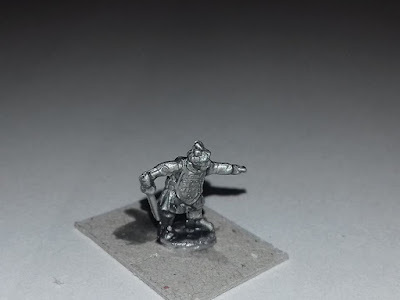 Useful French Indian War (FIW) Links. Useful American War of Independence (AWI) Links. My Anglo Zulu War (AZW) Book Library. Useful Anglo Zulu War (AZW) Links. Dropzone Commander Battle Reports & Scenarios. Terra Nova Battle Reports & Scenarios. My Terra Nova War Book Library. Zombie Battle Reports & Scenarios. Aliens Battle Reports & Scenarios. Starship Troopers Battle Reports & Scenarios. My Starship Troopers Book Library. The War of the World's Artwork. The War of the Worlds Battle Reports & Scenarios. My The War of the Worlds Book Library. Useful The War of the Worlds Links. World War I (WWI) British Army. World War I (WWI) German Army. World War I (WWI) Buildings. Painting World War I (WWI) British. 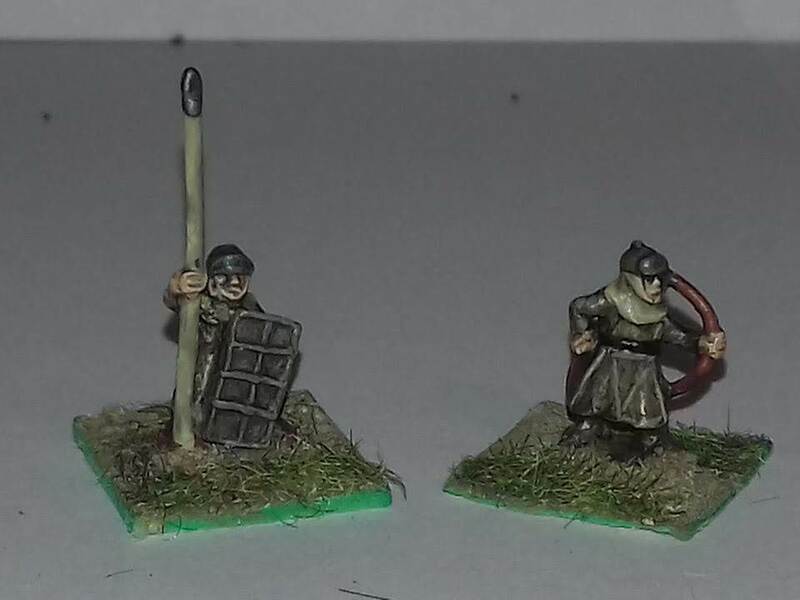 Painting World War I (WWI) Germans. World War I (WWI) Battle Reports & Scenarios. My World War I (WWI) Book Library. Useful World War I (WWI) Links. All 313 of our releases in 2018! With a new year comes a new show season and we'll be kicking things off as always with the excellent Vapnartak show in York! All of the show dates are listed below, so if you'd like to pre-order anything for any of these events, please make sure to let us know at least 7 days in advance! There's a couple of changes to the schedule this year. Firstly we've got a new Glasgow show back on the calendar which is great news. Taking place at the end of June, we're hoping that people will come and support this new event. Then at the other end of the year, there's not been any news about the Derbys show so we've knocked that off our list. We're still waiting on a date for the Border Reiver show as well, Colours have moved their event back a weekend which has caused a clash. The Border Reivers club are currently looking at their options and will be confirming a date very soon. And of course there'll be our own Battleground show taking place on Saturday 30th November this year! Hopefully we'll see some of you there, so make sure to drop by and say hello if you're around! Despite all of the work that has gone into BKC over the past 12 months we weren't quite able to get it finalised and off to the printers in time for Christmas. We know that a huge number of you have been patiently waiting for this to be completed and it's something that I'll be thankful to get off my 'To Do' list personally. The good news is that the bulk of the work is done, we're just fine-tuning things at this point. 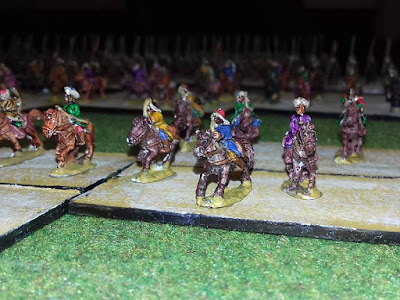 I've got some edits to make to the army lists, plus a few tweaks from our initial round of feedback and then we'll be sending a pdf out to a wider group for our final round of feedback. Once that comes back, we'll make any final adjustments and then it's off to the printers! We'd really wanted to be further along the TB Line re-releases by now but with the BKC work above and our other releases this year, they got bumped down the queue and we only managed to get two of the ranges released. 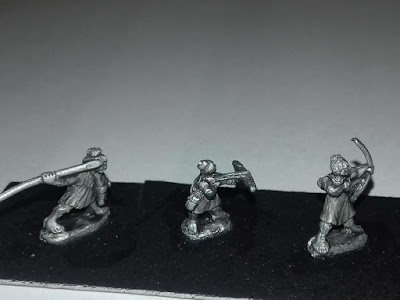 We also underestimated how much clean-up work was required on the figures, so the job of simply prepping them for new moulds was a lot more intensive than we'd hoped. We know what we're dealing with now and with clearer waters ahead we'll be able to crack on with this. From a purely business perspective, the shows for 2018 were a bit hit and miss and by the end of the year our sales were down considerably. A large part of this was the loss of the Derby event plus us not attending the Skelp and Durham shows, so for 2019 we've added a new Glasgow show to the calendar and we're hoping to add another if there's space for us. We're also doing some work on the show stand to streamline the 10mm side of things and expand with some product lines that will appeal to a wider market. So with those out of the way, let's look at the positives! Those 313 codes are just on the Pendraken 10mm side of things, we also added a variety of MDF buildings, multi-scale animals and some third-party products as well. For next year we'll be continuing in the same vein with at least 100 new releases already sculpted or in the works, plus the new projects which we've got planned. We'll have more info on those in a separate thread coming shortly. This is something we've been working on for a long time and over the past year we managed to add nearly 400 new photos to existing codes on the website, as well as making sure that all of the new releases had pics as well. We recently did a tally-up and found that we've got a little over 1500 codes still without images so this is going to be a priority for next year. With the 2 new casting staff on board we've made real progress on our turnaround times, reducing them from an average of 11 days in the previous year down to an average of only 4 days for 2019. The new guys are doing well on a variety of ranges now so we've got capacity to expand their workload for the first time in Pendraken's history. Having this available means that we can work harder on getting new ranges released and new images added to the site, as well as some other jobs that we've never had time for at Pendraken HQ. The not-Kickstarter proved to be a real success and demonstrated that this is a viable method of getting future ranges into production. Once the 1809 expansion is complete we'll have a sit down and work out where we can utilise this next. 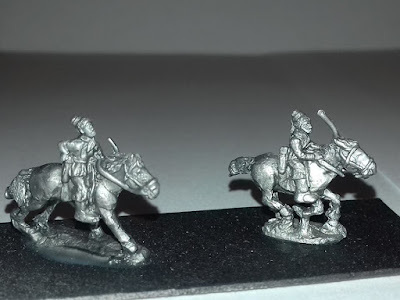 At this stage it's likely to be further Napoleonic ranges. 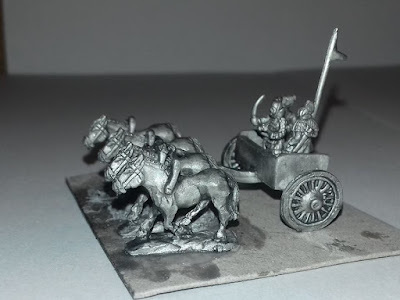 Minibits showed real growth this year, adding several new product lines in the form of Vallejo Panzer Aces paints and more RedVectors buildings, as well as running a successful Kickstarter for some new 28mm figures. We've got plans for some more of the same through 2019. Sales for 2018 were up on 2017, helped mostly by having a price increase in February (which always boosts sales in January) followed by the not-KS and KS boosts in November. This helped to cover the downturn in show sales and keep the cash flow ticking over. Last month we managed to pick up 2nd place for Customer Service in the Wargames Illustrated Awards, which was a massive achievement. When you consider the size of some of the 28mm companies and the massive market share that they occupy, for us to get that 2nd place is huge. And it's all down to you guys and your votes, so thank you for that support. So, all in all it's been a good year at Pendraken HQ. There's obviously a few areas that we need to focus on but generally we've made good progress on several fronts. With the plans we've got for next year, plus the imminent relaunch of BKC, things are looking pretty good! We'll be discussing our plans for 2019 in a new thread very soon, so keep an eye out for that. And in the meantime, we hope you all have a good New Year! Tis the season for year-end giving, and I know that can mean some hard decisions. With so many worthy causes you could give to, I humbly submit three big reasons why the Trust should make the cut this year. 1) You can trust us. I hope you'll rest assured that every dollar you donate to the Trust will be leveraged to save as much battleground as possible, as efficiently as possible. Thanks to you, we've been at this for over three decades and have developed partnerships and practices to maximize our ability to achieve our mission without wasting a cent. You don't have to take my word for it though you can check our rating with America's largest independent charity evaluator, Charity Navigator. In 2018 we were honored to be among the two percent of charities to receive 4 stars for 9 consecutive years. 2) Time is of the essence. Only about 20 percent of the land where the Civil War was fought is permanently preserved and the proportion is even lower for the Revolutionary War and War of 1812. The rest is either unprotected or has already been destroyed. The National Park Service's American Battlefield Protection Program (ABPP) has already identified the most historically relevant battlefields for preservation and there are plenty still worth saving but we have to act quickly. Developers won't wait. If our generation fights to win, we can save these hallowed acres before they are paved over, forever. 3) You can further your impact. Thanks to some dedicated longtime supporters, any amount you contribute to the Trust before the end of 2018 will be matched up to $100,000, doubling your impact. Our work is only possible because of you. Your support now will allow us to protect hallowed acres in Gettysburg, Richmond, and other battlefields around the country and start 2019 off strong. 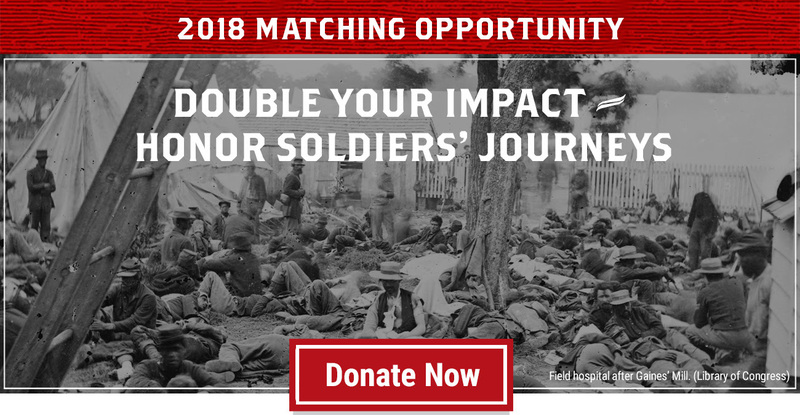 Please take advantage of the generous matching opportunity your fellow history lovers and preservationists have set on the table by making a tax-deductible donation to protect American history today. Want even more reasons to donate to the Trust this year? Here's a sample of what your support has already made possible in 2018. Make a tax-deductible gift before the clock strikes midnight on December 31st, and your donation will be doubled! We don't know much about the three men in this photo. We know they were Confederate soldiers in Robert E. Lee's army and that they were taken prisoner at the Battle of Gettysburg. Yet, despite the best efforts of top historians, their identities remain a mystery to this day. That's how easily history can slip through our fingers. We also know this photo was taken directly between parcels of land we are currently trying to save along what is now called Seminary Avenue. The wooden barricade stood along the western border of the largest parcel. That barricade was constructed by Confederate troops while they held a position on Seminary Ridge during those fateful days of battle in July 1863. Over the years, you have helped to preserve more than 1,000 acres at Gettysburg the costliest battle ever fought on American soil. Today, we consider the 18 acres currently at stake on Seminary Ridge some of the most historically significant land from this battle that is still in private hands. By now, you likely know that this campaign is a heavy lift to the tune of $3.5 million. We've made amazing progress so far thanks to generous supporters like you, but we need to cross the finish line by year's end. 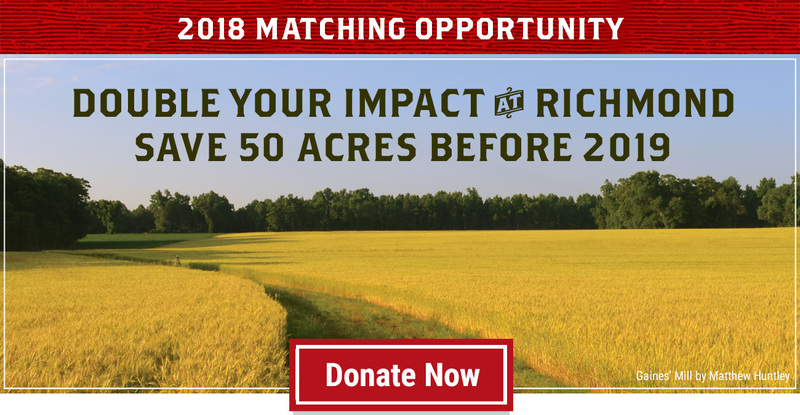 Fortunately, thanks to several long-time donors who've agreed to match contributions until the new year, every dollar you give now will have twice the impact! And don't forget, we're also featuring the names of each generous supporter who gives $100 or more on our Seminary Ridge Virtual Donor Wall. My deepest thanks go to all who've already donated to this campaign. If you can take advantage of this important match with one more tax-deductible contribution, you will have my eternal gratitude. I know I've said it before, but it bears repeating: without Seminary Ridge, you cannot tell the full story of Gettysburg, and without Gettysburg, you cannot tell the full story of the Civil War. Please make a gift today to ensure that story lives on for generations to come. Wondering why saving these 18 acres at Seminary Ridge is so important? Our collection of quotes from historians sheds light on why this land is meaningful. Please make one final tax-deductible contribution before the end of the year and your gift will be matched! Gaines' Mill. Gettysburg. Cold Harbor. These three major battles punctuated three of the most volatile and harrowing years in our nation's history. They're also the battles that hallowed the 50 acres in Richmond and 18 at Seminary Ridge that we hope to preserve forever by year's end. Between the Battle of Gaines' Mill in June of 1862 and the Battle of Cold Harbor in June of 1864, the Armies of Northern Virginia and the Potomac faced one another time and again across the Eastern Theater. Many of the same soldiers fought in Virginia, Maryland, Pennsylvania and what's now West Virginia over this two-year period. Here's a little of what we know about their experience. They Marched. Over the course of the Civil War, soldiers traveled hundreds of miles on foot. In marches of urgency, they may have been instructed by their commanders to walk as many as 35 miles in a single day. They Camped. Soldiers slept in tents, rustic cabins or under the stars, then rose at dawn for duty, drill and diversion. Camp activities included cooking, cleaning, manual labor, military training, playing cards, Bible study, reading and writing. Camps could be places of refuge and bonding. They could also be places of hunger, boredom and sickness. They Fought. Many soldiers in the Armies of the Potomac and of Northern Virginia were seasoned veterans by the end of the war, fighting in battles across the Eastern Theater. Some who made it to the Battle of Cold Harbor had survived the bloodiest battle of the war at Gettysburg and the bloodiest single day of fighting at Antietam. They Fell. The human cost of the Civil War was beyond anybody's expectations. While more than 100,000 soldiers were killed in the unprecedented violence of battles, twice as many succumbed to death from noncombatant foes. Poor shelter and food coupled with a lack of hygiene resulted in waves of sickness and disease. Roughly 2% of the population, an estimated 620,000 men, lost their lives in the line of duty. 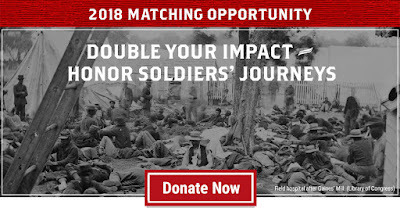 In these final days of 2018, will you help honor these citizen soldiers by saving the land where they marched, camped, fought and fell? Time is running out to preserve 50 critical acres near Richmond, where the battles of Gaines's Mill and Cold Harbor were fought, and 18 acres at Seminary Ridge in Gettysburg. Everything the Trust has achieved, we have achieved because of supporters like you, who choose to honor the legacy of American soldiers. From now until midnight on New Year's Eve, donations of any amount up to $100,000 will be matched, offering you the chance to double your impact. Please make your tax-deductible donation today to continue protecting America's history for future generations. 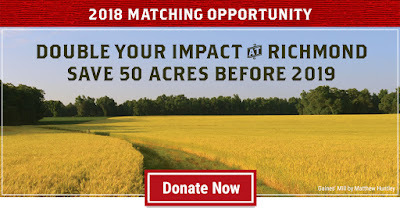 Already made an annual, tax-deductible contribution to Seminary Ridge or the 50 Richmond-area acres? Consider using one of our e-cards to give the gift of preservation to a history buff in your life. 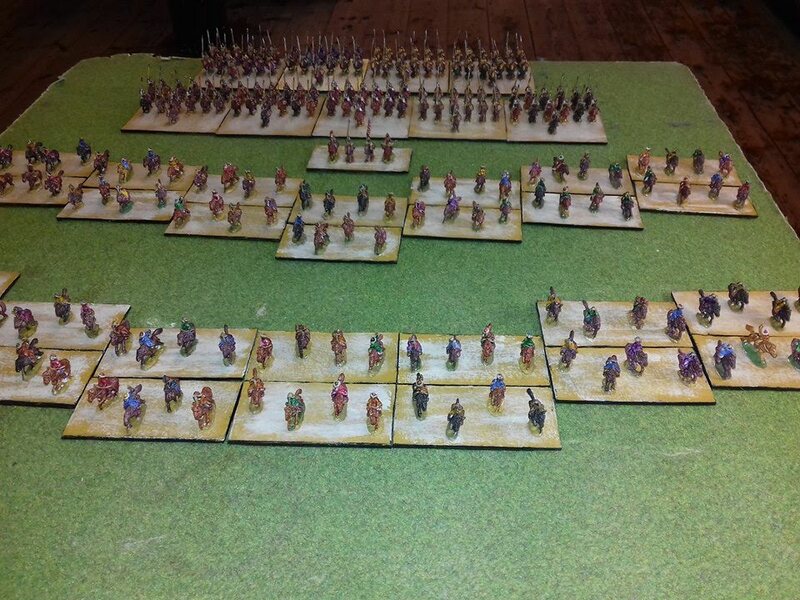 People have been asking so are here are some photo's of the Fogg of War Mongols. 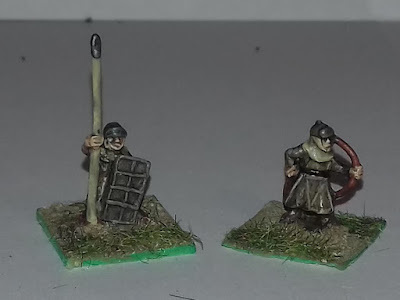 We are currently reworking the standard bearer though. 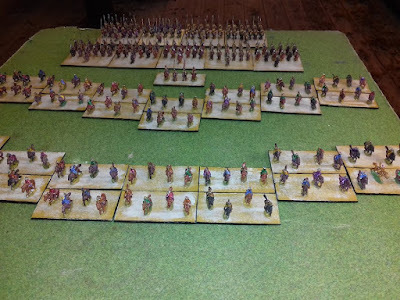 I have also put in some pictures of these figures in mass, from Pete Foggins own collection. Any comments (good or bad) or thoughts on additions to the range are as always appreciated. The website is currently a work in progress as that evil thing called work keeps getting in the way. But it as well as other things are on our massive list of things to do. I know this is a busy season, and I truly hope you're making the most of every second. That's why I want to jump right into some history to help you understand the significance of the 50 acres of Richmond-area battlefield we're trying to save before 2018 comes to a close. In June of 1862, Confederate General Robert E. Lee won his first major victory with the Battle of Gaines' Mill. Two years later, on some of the same Richmond soil soil you and I have an opportunity to preserve today Lee triumphed again at the Battle of Cold Harbor. Yet while Gaines' Mill would mark the beginning of a streak of successes for the Army of Northern Virginia, the victory at Cold Harbor would mark the beginning of that same army's end. Lee stunned North and South alike in the Seven Days Battles. With an aggressive offensive, he drove the Federal Army from within eight miles of Richmond all the way to the James River and ultimately Washington, D.C. This victory would be followed by others, launching Lee to national fame as a symbol of hope and pride for the Confederacy, and fear for the Union. Yet there would also be Confederate losses. Antietam. Gettysburg. The Emancipation Proclamation. The fall of Vicksburg, and with-it, Confederate control of the Mississippi River. And then, in March 1864, General Ulysses S. Grant rose to command of all Federal forces. Lee fought formidably in Grant's Overland Campaign in Virginia and made a powerful stand at the Battle of Cold Harbor. But he knew, as Grant did, that the Confederacy's supply of soldiers and resources was dwindling fast. Lee himself believed that "we must destroy this army of Grant's before he gets to the James River. If he gets there, then it will be a siege, and then it will be a mere question of time." Despite the defeat at Cold Harbor, Grant managed to withdraw in good order, then deceive the Confederates for critical days as his army crossed the James and marched towards Petersburg. Lee would resist for another nine months before his grim prediction was confirmed. The Battles at Gaines' Mill and Cold Harbor helped determine the trajectory and outcome of the Civil War. Today, we have the opportunity to preserve the very ground of these two major events in Lee's career. We're making slow but steady progress toward raising the $179,000 we need to buy the 50 acres. This is the hallowed ground on which the local county had imminent plans to build a sportsplex, so we cannot fail! Through the end of the year, several longtime donors are matching all contributions to this campaign up to $100,000. Please give as generously as you can, knowing your gift will have twice the impact toward preserving this priceless American history. Already made an annual contribution to save these 50 Richmond-area? Consider using one of our ecards to make a donation in someone else's name and give the gift of preservation to a history buff in your life. Many beloved holiday traditions have been celebrated since the Civil War. Often posted far from home, soldiers sought solace in customs like caroling, gift exchanges and decorating. One soldier, Alfred Bellard of the 5th New Jersey Infantry Regiment, recalled a small tree, "decked off with hard tack and pork, in lieu of cakes and oranges," that added festivity to life in a winter camp. Another soldier, from the 17th Maine, recorded that he and his fellow troops eagerly awaited the "sundry boxes and mysterious parcels" directed to them "with feelings akin to those of children expecting Santa Claus." Yet, despite troops' efforts to partake in holiday celebrations on the front, the season also served as a reminder that soldiers were separated from their loved ones and the comforts of home. Soldiers preparing for the bloody Battle of Stones River in late December 1862 or shivering in the trenches outside of Petersburg in 1864, found little respite on Christmas or New Year's Day. At home, families did their best to celebrate the holiday, but wondered when the vacant chair would again be filled. As we approach the end of 2018, please take a few moments to remember how soldiers in both blue and gray experienced the holiday season. Did you know that Henry Wadsworth Longfellow's 1863 poem "I Heard the Bells on Christmas Day" had its origins in the American Civil War? Longfellow wrote the piece on Christmas Day in 1863. Nine months earlier his son, Charles Appleton Longfellow, snuck away from home and enlisted in the Federal army in Washington, D.C.
Varina Davis, wife of Confederate President Jefferson Davis, describes how the Davis family spent Christmas 1864 in Richmond, in an article originally published in the New York World in 1896. 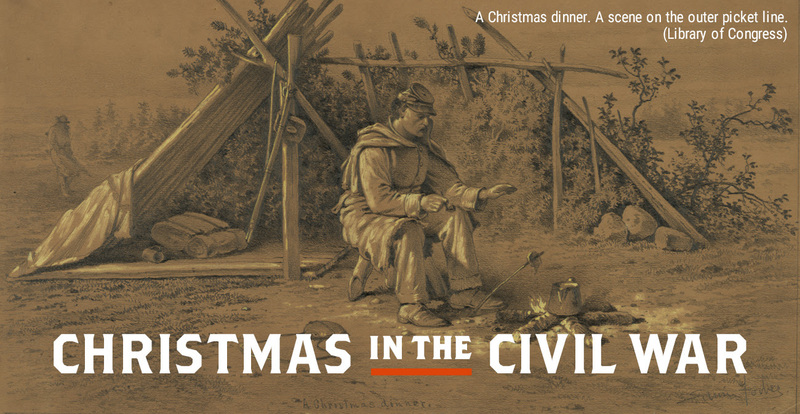 Learn more about how Americans experienced the Christmas holiday during the wars that defined the United States. Our collection includes a look at warfare in wintertime and the battles that were shaped by the season. Confederate soldier William Gordon McCabe sat down on Christmas night 1862 to write his thoughts and remember his family far away. 155 years later, his words are still poignant. Clara Barton was born on December 25, 1821. She spent several years in Washington during Christmas, which happened to be her birthday. It has been said that although she did not dislike the holiday, it was not very exciting to her in adulthood, particularly during the trying years during the Civil War. Learn more about the life and legacy of the "Angel of the Battlefield." This story was published in Harper's Weekly in 1886 by the Rev. John Paxton, a veteran from the 140th Pennsylvania Volunteer Infantry. Paxton's account takes place on Christmas Day, just weeks after the Battle of Fredericksburg, while performing often miserable picket duty. 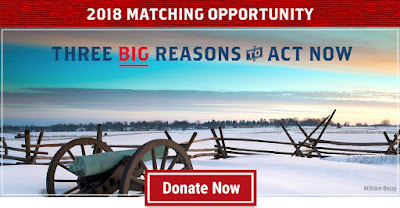 When you let us know you've made a gift in your estate plans for the American Battlefield Trust, several generous sponsors will make an immediate $2,500 donation in your name before the end of the year. Don't delay – activate your donation today.